Our Passion is Beauty. Our Promise is Quality. Those who value beautiful things and appreciate quality find it here. With an eclectic mix of unique pieces and estate jewelry the treasures at Lou Goldberg Jeweller are always purchased with our clients in mind. Lou Goldberg Jeweller is a family owned business that was founded in 1946 in Montreal, Quebec in the wake of the victory in World War II. 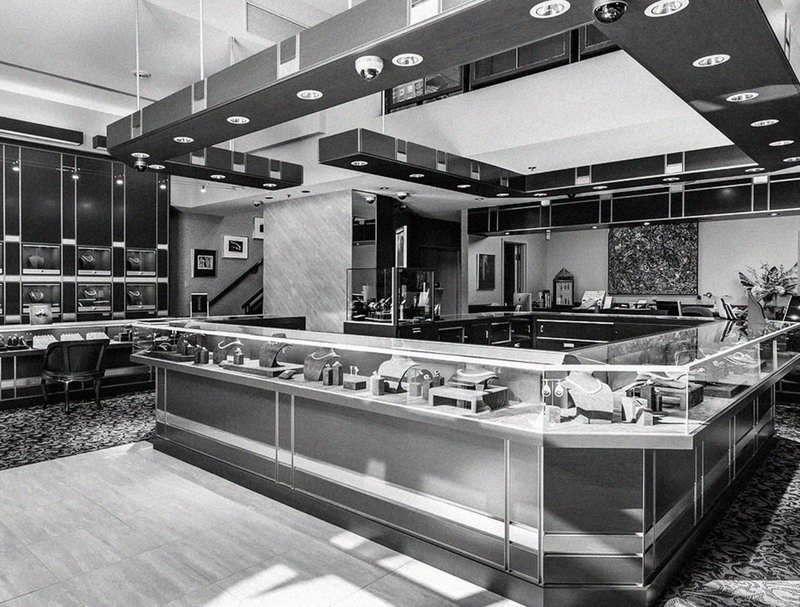 Over the past 60 years we have grown to become one of Canada’s foremost jewellers by adhering to a simple philosophy: always provide jewellery of the highest quality at the best possible prices. This philosophy, and the pressure-free environment has allowed us to develop and maintain a loyal and dedicated client base all across Canada. In fact, many of our current clients are the grandchildren and great grandchildren of customers that bought their first pieces of jewellery from Lou Goldberg Jeweller over 50 years ago. You will have me as a loyal customer forever because of your honesty, expertise, and amazing craftsmanship. I have no words to describe how beautiful my yellow diamond dream ring turned out. Truly a masterpiece! I have acquired quite a few exquisite pieces from Lou Goldberg Jeweller over the last 5 years; one more beautiful than the next. The eternity wedding band that Daniel created for us is beyond exquisite. He truly understands the significance behind the design and the event it's celebrating by involving his clients throughout the process.